There is usually a fall in our body temperatures when nighttime approaches. Ideally, when we fall on our bed, we should be drifting into good quality sleep, and our bodies should maintain a temperature of about 2 degrees lesser than we were up and about in the daytime. This drop in temperature helps sustain the deep sleep that we fall into. Some people find it hard to sleep well through the night mainly because their body temperature rises at the time of sleep. This issue is exercabated by using the wrong mattress. Some of these mattresses trap heat within them. This issue is also experienced when you utilize older mattresses. The more recent mattresses have taken this temperature issue into account in their design. The bottom line, however, is that mattresses that do not have good air flow will trap heat and be bad for us. Regardless of where you fall in terms of the kind of mattress you currently own, a cooling mattress topper is an excellent way to alleviate the temperature problem. The best cooling mattress toppers are built to create air flow and spread heat away from your body. They are made from different materials like cotton, wool, and fiber. They also may have a memory foam with a cooling gel injected in. So which mattress topper will best serve you? This is very subjective and will depend largely on your own personal preferences and physical makeup. 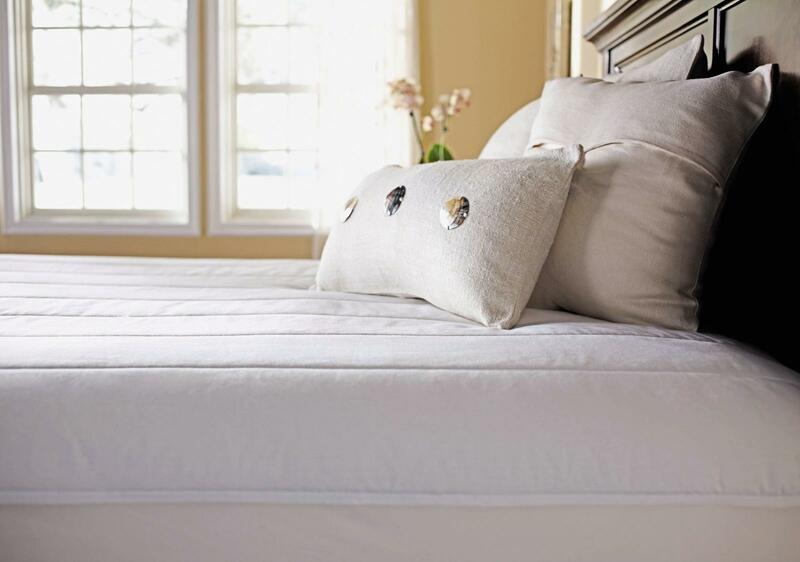 This article will guide you on how to select the best cooling mattress pad for you. There are so many options to choose from today, and it will take you a lot of time to digest all of the information necessary to make the best choice. Do you go for the mattress topper with a cooling gel of the one with a basic egg carton style? These are some of the things you will have to consider. But you have nothing to worry about as we have broken down all of the information into digestible pieces for you in this guide. We have gathered all of the data and read through all of the consumer feedbacks to present you with a list of the best today. No matter what sleeping preferences or style you have, you are sure to get a mattress topper here that will aid your sleep and cool you down as needed. Technology has advanced and the way cooling products are designed today is a lot more complex than it used to be. Their new and improved functions have made them very suitable for different scenarios. There are three main types of cooling pads, and this classification is done based on how they work. This class of cooling pads has a cooling accessory attached to them such as a fan. For these pads to work properly, the fitted accessory has to be attached to the pad. The main advantage of these active cooling pads is that they have different temperatures you can set to as a way to get a customized level of coolness. Also, these pads can also offer warmth during the cold nights. When it comes to cooling, these active pads are the best. An only headache here is that they cost a lot of money and they can be the priciest. They also require electricity all the time, and you can imagine what that does for your utility bill. Sleeping well at night does so much for the body. It helps improve your memory, it helps with weight loss, and it alleviates physical and mental stress. All of this helps to improve your overall health. It is imperative that you are in full control of the space where you sleep so that you can get all the sleep you need without interruption. Fortunately, this isn’t so difficult to achieve. ChiliTechnology was founded in 2007 by a married couple, and their goal was to help people sleep better at night. They focused on controlling a crucial sleep variable, and this is the temperature. 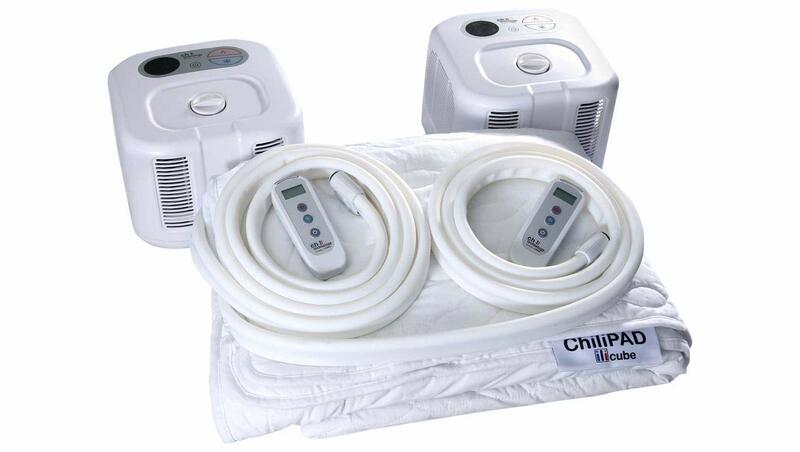 The Chilipad infuses a couple of microtubes in its structure that control water flow and help reduce body temperature. These tubes are fixed unto a pad that is placed under your sheets where you have full control of them. Each unit has a pad with all of its tubes and a cube. Each area of the pad is a temperature zone, and it is managed by the cube. The cube moves and circulates the cool or warm water around the pad. Both systems are connected via a tubing system, and they can be controlled remotely with the wireless controller. This way you don’t have to get out of bed every time you want to adjust the temperature. There are instructions attached to each pad on how to use them and a warranty sheet. If you have suffered from a lack of sleep due to temperature problems in the night, this cooling mattress pad will do you so much good. The beauty of this pad is that it is 2 in 1 and can be used on any size of the bed. The BedJet comfort utilizes a biorhythm sleep cycle that induces you into sleeping a lot faster and keeping you in a state of sound sleep for a prolonged period. You will wake up feeling invigorated. The most unique thing about this bed comforter is the customizable temperature profiles depending on heating or cooling requirements. These settings can be adjusted for every hour all through the night. With the BedJet you have no need to set up an alarm system that will alert you to make changes. All you have to do is set up a waking temperature. This is excellent. 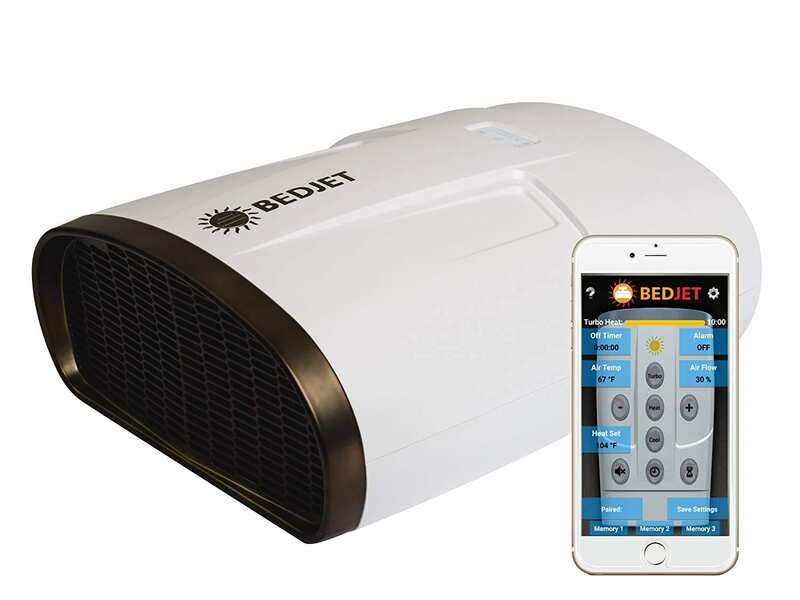 The BedJet achieves cooling with the aid of the powered ventilation that immediately takes away the heat from your body and gets rid of the moisture from your bedding giving you an excellent cooling effect. It also has a temperature management mode that is capable of wicking out moisture from the beddings and thus controlling your temperature and dryness levels. This unit will be very ideal for people whose body temperature shoots up during the night and those who are affected by hot flashes. As an added bonus, the bed jet is equipped with a peculiar oil aromatherapy diffuser kit that gives off a unique therapeutic effect and also helps keep your sheets fresh. It also takes into the account that a couple might be using the pads together and require different temperature profiles so both you and your partner can set individual temperature profile. This bed comforter is exceptional at what it does, and there is so much value to be derived from it. It comes with a base unit equipped with a silent digital DC motor, wireless remote control, and a Bluetooth application. With this setup, you can access and control the unit from your mobile phone. These category of cooling pads are different from the above described active ones in the manner in which they operate. This category is the one known to have a gel infused set up. The passive cooling pad makes use of a patented technology made with special gel materials. The gel put into the pads traps heat and moves it to the outside regions of the pad. These gel infused materials are adequately ventilated in a way to ensure that excess heat is contained and moved to the surrounding environment thus keeping you cool and comfortable. The main allure of this cooling topper is the fact that you no longer require a fitted accessory like a fan that runs on an energy source to keep you cool or warm. You will enjoy the luxury that this mattress pad offers. It is made in the USA from scratch with the USA Rayon Bamboo Mattress Pad. This mattress pad can be found in many of the top 4 and 5 star hotels. The extra fluff and the plush top is made from blended rayon gotten from bamboo fabric. This material has a silky feel, and this helps you sleep better at night. The rayon from this fabric is very breathable, and it counteracts the warmness of mattresses like the Tempurpedic. 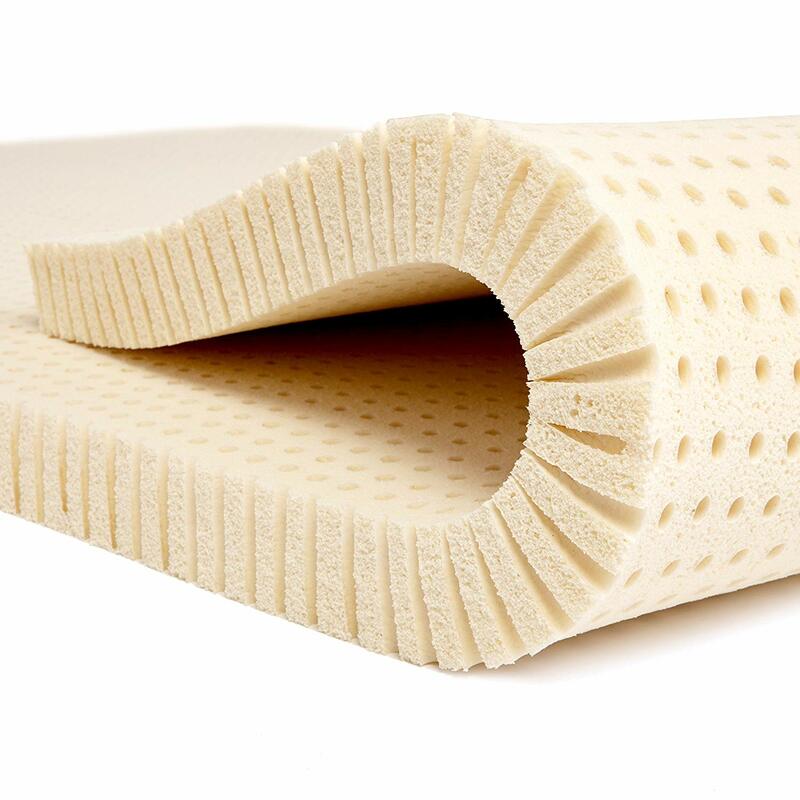 This mattress pad is fitted with a good amount of RevoLoft Cluster Fiber Filling which is put through an additional engineering process to produce balls of fiber that are responsible for trapping air to ensure the pad retains its shape for a longer period and make room for air flow. It does this better than any other mattress pad in the market. 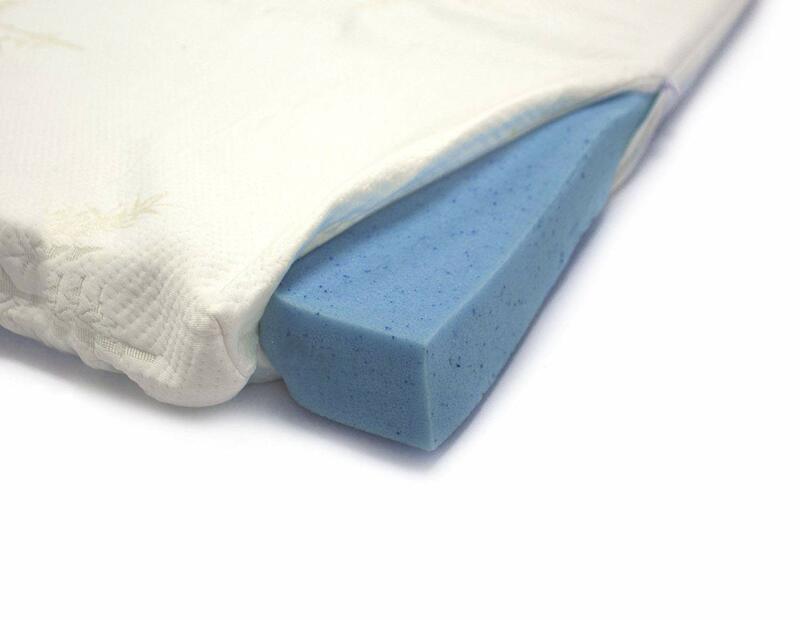 The mattress pad can be washed in a machine with cold water and a gentle cycle. Make sure to use a front loader higher capacity washer. No softener is required. Just tumble dry low. ELuxurySupply provides a return label for a totally free return in the event that you return the product within the 30 day return period. Pure green is probably the most reliable cooling topper if you consider the impact on the environment. You can deduce from the name that this topper is made from natural materials, unlike the usual synthetic latex materials you’d find in other toppers. This topper is certified natural by global testing bodies, and this is reassuring that one is sleeping on a safe and environmentally healthy topper. This topper does very well with breathability due to the innovative design of microscopic air spaces within the neutral topper. These spaces allow for proper circulation that will ensure you sleep on a cool and dry surface. This topper adapts swiftly to the shape of your body to offer adequate support. You don’t sink in with this topper, and this means that it supports your contour all night. 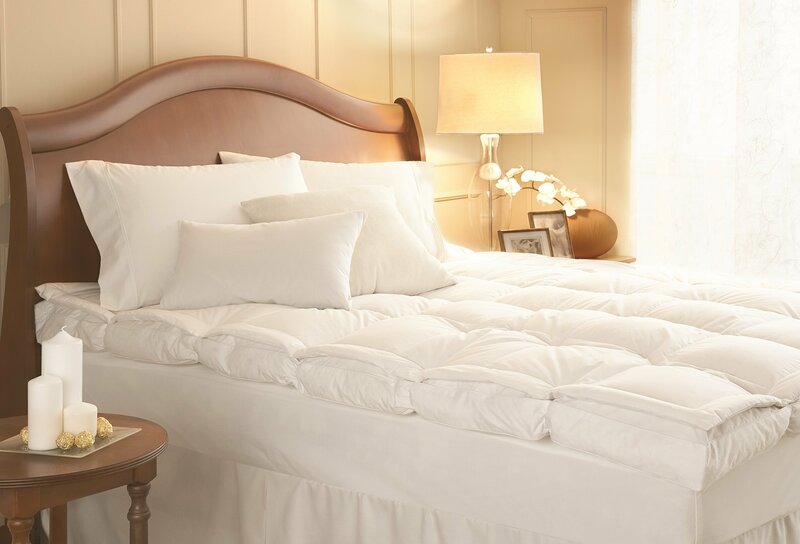 This optimum level of firmness that balances comfort and support will help you sleep soundly through the night. Whatever your posture or sleeping style, you will enjoy this topper. Also, the firmness of the topper remains stable regardless of the temperature unlike what you get with the memory foams. Perhaps like an icing on the cake, this topper is built to last. It is very durable, and it will even outlive the mattress itself in most cases. 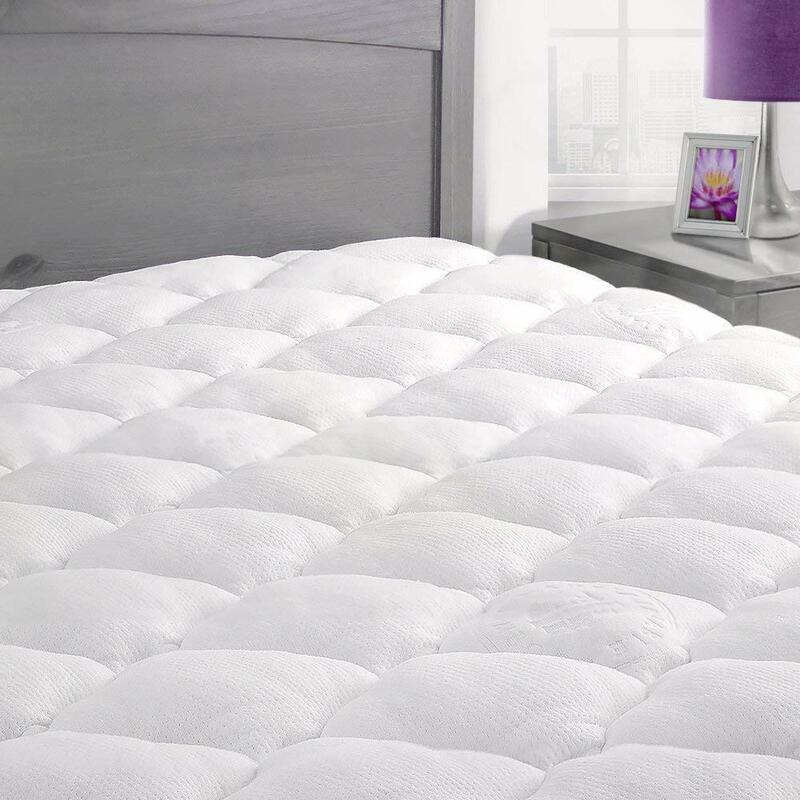 This mattress pad is one of a kind with its gel infused memory foam topper designed to make the best use of air flow and cut down on trapped heat from your body. It is highly breathable, with excellent cooling and ventilation distributing the heat from your body across your entire body. This gel-infused 3-inch high-density memory foam helps straighten your spine, relieve you of back pain and doesn’t let you sink into the mattress. The topper will do a lot of good for your mattress and add to its lifespan. Save yourself some money in the long run with this topper and get the kind of sleep you deserve. You are definitely waking up feeling brand new and revitalized when you sleep on your mattress with this topper. You do not need to spend a dime on any topper that you will end up having to replace at the end of the year. Some other toppers out there aren’t even machine washable but this one is, and it comes with hypoallergenic properties with its bamboo-rayon cover featuring a slip-proof mesh with adjustable straps. This help to hold the topper in place and saves you the trouble of having to constantly put it back in place if it were to be falling off. CiscoSOft is a leader in this industry, and they put all of their energy into making sure that their products are premium and the best out there. Improving your quality of life is their number one goal, and they are confident you will enjoy this topper and have offered a full refund for anyone who returns the topper within the first 60 days after the purchase was made. These toppers all come with a 3-year warranty for factory defects. Improve your sleeping conditions with the Milliard gel memory foam mattress topper. This foam brings down the pressure on your spine and reduces the pain you feel to put you in a better condition for better sleep. The topper traps and circulates heat while ensuring proper air flow thus regulating your body temperature to give you that improved slumber you’ve been looking for. Your nights are no longer filled with tossing and turning, and you can finally sleep soundly. This memory foam also has antimicrobial and hypoallergenic properties, and it does well against mold, bacteria and dust mites. So for those who suffer from allergies and asthma, they need look no further than this mattress pad for the best sleep. These toppers are no like the active and the passive toppers. These pads must be frozen first of all before they can work. The refrigeration eliminates all of the heat that the pad has in it and is replaced with the cooling effects which help you sleep better at night. The drawback of this approach is that the cooling effects do not last from prolonged periods at a time. Add this to the trouble you have to go through to refrigerate every time you want to use, and you might have an issue. This proprietary gel stays flexible even after it is frozen at very low temperatures. It easily aligns itself with your body type and offers a more specific and intentional treatment. This topper utilizes the same quality of materials endorsed by thousands of physical therapist all over the United States, and you can enjoy this in the comfort of your abode. 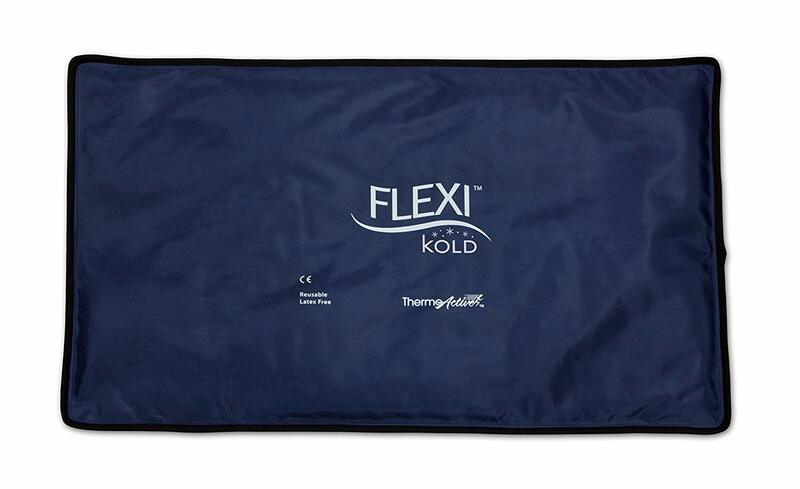 These gel packs are built to last for a long time with their heavy duty outer nylon area with double seams. You will get so many cold therapy treatments from this product. This is perhaps the first thing that anybody should look at when picking out a most suitable mattress pad because this determines its breathability, durability and a host of other important properties. This also dictates the comfort and overall feel of the pad. There is a wide variety of materials to select from, but the most popular ones are cotton, wool, latex, and gel-infused foam. Wool is the most suitable for warm weather due to its high capacity for absorbing sweat and excess heat from your body to keep you cool. Cotton is a thinner option, and this makes for easier cleaning. It is also machine washable. The drawback of cotton is in its durability, and you can’t count on it as much as you would on a stronger material. Natural latex is also very common and has excellent cooling properties. They are properly aerated, and this makes for better airflow. The lovely thing about latex material is that it never deforms as the room temperature varies. This makes it possible for open ventilation at all times. Gel-infused cooling pads are also excellent options for temperature regulation. Just like water, the gel takes in a significant amount of heat and traps it in before it starts to heat up. This heat is then distributed away from the body to the rest of the mattress. To summarize, gel infused memory and latex are the most common options for materials you’d find in cooling pads and toppers. Mattress pads are rated differently on density, and this runs from 3 to 5 just the way you have it with mattress toppers. The density of the pad will impact the cooling abilities as well as how comfortable it is. 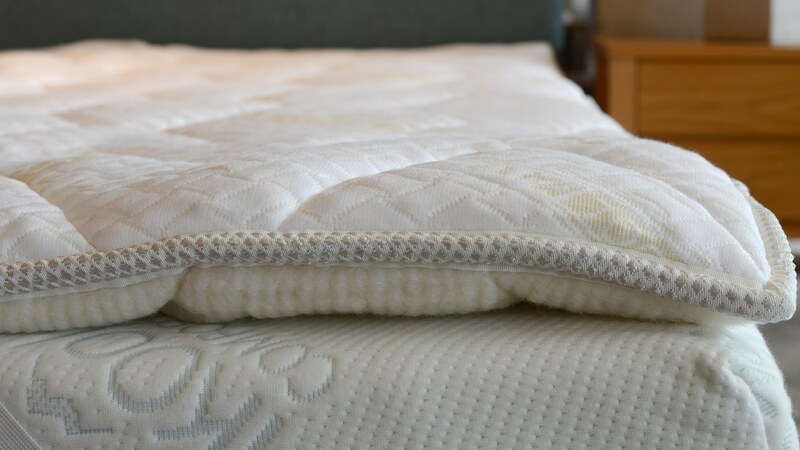 A denser mattress pad tends to retain a lot more heat due to limitations in airflow, and this will result in a buildup of heat. A lower density pad will do better for body temperature regulation, and this is mainly due to its improved air flow which reduces overheating. It is worth mentioning that the dense mattress pads will offer less sink and therefore might feel a lot firmer and thicker. So if you are dealing with back pains, this might be a more suitable option or you as it offers excellent support. In the end, you must pick something that suits you and your preferences in terms of comfort and temperature regulation. This is another crucial factor that determines how well you sleep on it through the night. It cannot be ignored. The thickness of the pad will dictate how much sink it offers. This means that softer pads will sink more when weight is placed on them, and this will result in the material wrapping itself around your body thus leading to overheating. A much firmer pad will not allow you to sink too deep into the material and this air can better circulate between the pad and your body allowing for a higher cooling effect. With this aid, it is evident that a firmer cooling pad is preferred. Usually, a cooling pad is not a priority for people. But the sort of cover you use plays a major role in determining how cool your mattress feels. A quality pad cover will not have so many materials, and this means the fewer stuff to get in the way of air passing through and ensuring better airflow for a cooling sensation. A thicker cover will stand in the way of air circulation, and these covers will tend to hold a lot more heat on the inner side thus increasing temperature. When you have a bed that doesn’t measure up to the standard sizes, you might run into problems finding an ideal topper. Toppers ought to be able to stretch and hold the edges of the beds without any fizz, but not all of them can do that. Some will do well at the beginning but will eventually lose that elasticity over time, and this results in annoying shifts in the pad. When the bed is not the standard size, it is almost impossible to get a suitable topper. Contrary to popular belief, the price is not always right. You don’t want to buy a cool mattress topper pad more than a few times in your life so it might well be worth it for you to invest appropriately on your first purchase so that it lasts you for a long time. Find a mattress topper with a price tag that matches its reviews. Everybody needs to sleep well, but we can’t all have the same spending power. If you want to get a topper that costs around $100 and your partner insists she wants the one that costs $200, you will have to decide on which one best fall on your constraints. Just have it in mind that you will be making use of the mattress topper more frequently than most other items in your home. You need to see what people are saying about any particular product you are considering buying. This is why customer reviews are so important because they give you an insight into what people who already own that product have to say about its functionalities, advantages, and disadvantages. An excellent cooling mattress topper should have excellent reviews. Even though you might not get the exact same experience as the users who have reviewed it, they will still help you make an informed decision on which to opt for and which best suits your own peculiar needs. Ideally, you shouldn’t have to move your cooling mattress pad more than once. The first installation unto your bed should be the only work required from you, and it should serve you for a prolonged period of time while offering maximum comfort and support. This is where the heavier cooling pads pose an issue as they are very difficult to move without assistance. When you are picking out a topper makes sure to go for something that you will be able to move in the event you want to have it relocated. Also, consider whether or not it will fit into your washing machine and if it needs special detergents for washing. Temperature regulation: mattress toppers are made to distribute the heat on your body evenly across and underneath your body. Body heat tends to build up when you lay on the traditional mattresses and is often reflected back. This is why you are sweating at night and feeling uncomfortable. Standard beds nowadays are built to give you the comfort and support you need for a sound sleep with a focus on breathability and air flow. With this property, your mattress is better at heat diffusion, and there is improved ventilation. This is what helps you sleep very well at night. You won’t even need to use air conditioning or a fan. Save on electricity bills: when you have a mattress that helps circulate air around your body and reduce your body temperature, you have no need for the air conditioning to be on through the night. You also don’t need a fan. This will save you a lot of money on electricity bills in the long run. You also reduce your carbon emissions this helping save the environment. Economical: when you have a mattress which isn’t so comfortable, you can consider changing the mattress itself or opt for the more economical option of getting yourself a mattress topper. A mattress topper will help improve your sleeping conditions by regulating your temperature, and with its affordable price tag, it makes lot more sense than changing the whole mattress altogether. Alleviates Pain: if you the type that tosses and turns at night, you are most likely experiencing back pain. If this is left unattended to it can denigrate into chronic back pain. With the wrong mattress, you will be adding more pressure to your pain points. In this case, you need to find a comfortable pad which will help ease the pressure and give your back more support. This will help alleviate the pain. Softness: the mattress topper serves as an additional layer of cushion that makes you a lot more comfortable. Less elasticity: Cooling mattresses are kept in place with the help of an elastic skirt. This skirt tends to lose its elasticity over time which frees the topper to move out of place. Limited Sizes: mattress toppers are only available in certain sizes and those with bed sizes that do not fit standards will have an issue finding a suitable mattress topper. So much marketing: A lot of times, manufacturer’s promise so much more than what they can actually offer with their mattress toppers. They insist their mattress toppers can deliver on certain fronts when it clearly isn’t capable. This will lead to unsatisfied customers. How can I keep my mattress cool during summer? The topers are built to improve air circulation and breathability, so you don’t have to do much on your own part. If you want a better cooling effect of the pads, you can consider buying a bedding with a breathable fabric like bamboo. You don’t have to worry about your mattress toppers durability. They will serve you well year after year. They aren’t built to be thrown out and replaced often, and with proper care, you should be able to get the best out of them for the longest time. How do I keep cool while sleeping on a hot foam mattress? With a cooling topper on your bed, you can cut down on the heat that is emanated from your memory foam mattress. 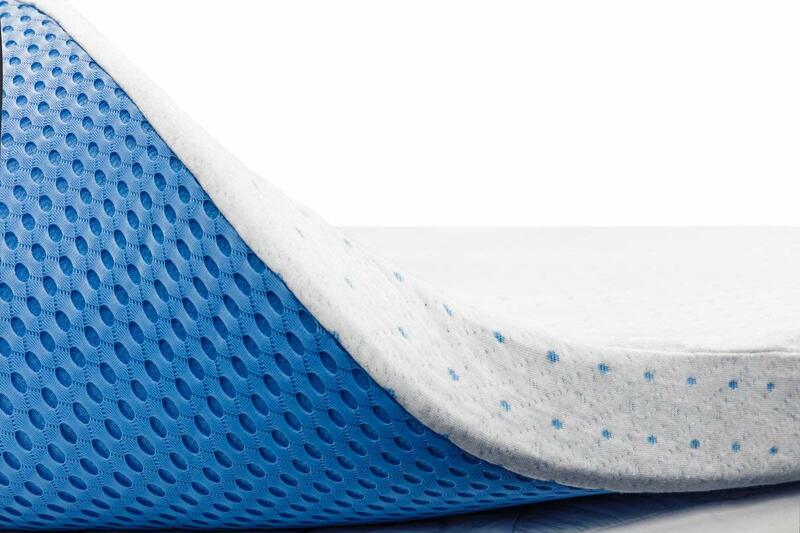 With the introduction of the gel foam, you no longer have to give up your memory foam for coolness at night. A cooling mattress topper is a practical solution for your sleepless and uncomfortable nights. With these toppers, you are guaranteed a better quality of sleep, and you must take into account all of the factors that have been mentioned above before making a choice on which topper to go for.